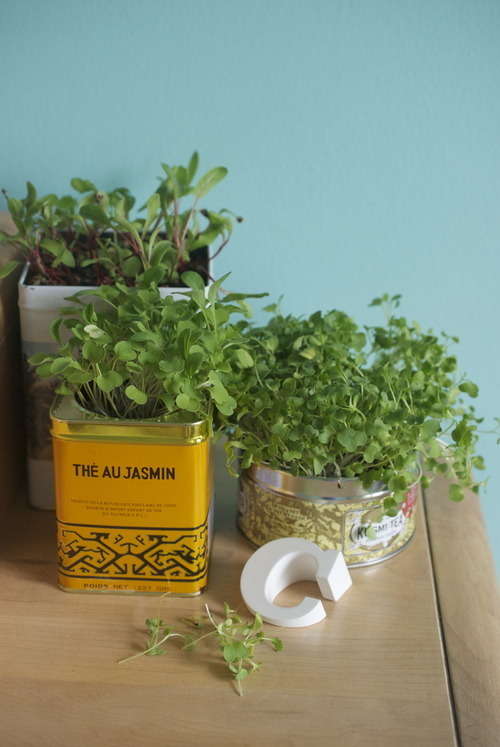 DIY- Grow your own micro greens in vintage tins! Here’s the thing, at the end of the day, all I really want to do with my life is have a garden and make jam. That is my ambition. I would like to write about having a garden and making jam, and if people read what I wrote I would be on cloud 9. But that would be icing on the cake, and in a pinch I could live without it. What I long for and crave and yearn for, is a garden and a kitchen big enough to make jam. Currently, I live in a 600 square foot apartment with a teeny tiny kitchen and no outdoor space. I’m not trying to get your sympathy, honestly, I’m way to young to have my lifes ambitions fufilled yet. I know this. I mean, anyone who has it all figured out at my age must get so bored. So I plug along in my little space, and I make jam for my friends and I plant herbs in tins and place them on my window sills and I’m pretty happy. Which is all one can ask for I suppose. 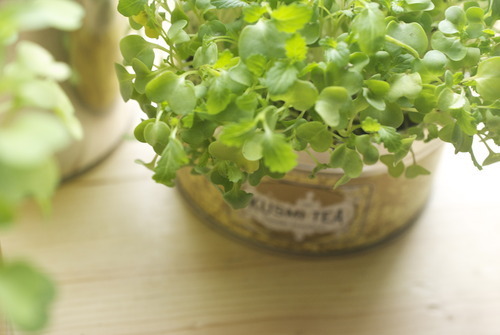 Heres a quick way to get those expensive microgreens from the farmers market at home for only a couple dollars! And they last longer. Tins- vintage tins, tea tins, whatever you so wish. Get 2 squares of paper towel damp and place them on a plate. Sprinkle a tablespoon or so of seeds on it, and then cover with another damp piece of paper towel. Keep this damp for a day or so until the seeds start to sprout. 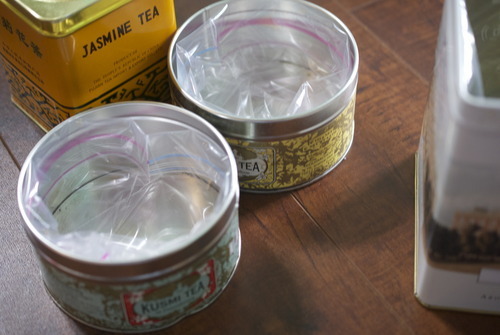 Take your double sided tape and put a few pieces on the inside of your tin around the opening. Place your ziploc bag inside the tin and press the edges into the double sided take getting it as close to the opening as you can without having the plastic come over the edge. Place a small handful of pebbles at the bottom- this will allow for better drainage. 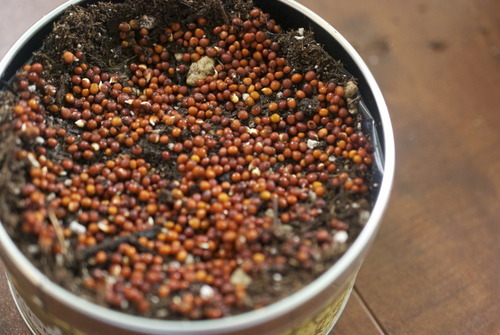 Put the potting soil on top and press it in so it is pretty well packed but not hard. Sprinkle the sprouted seeds on top and water. Keep the sprouts well watered and watch them rise up, once there a couple inches tall cut them and put them in salads, sandwiches, on top of fish or anywhere else you might like!